We’d like our new and returning customers to know that we’ve recently released the 2019 Profusion Short Form, in both digital and physical formats. The 2019 brochure is crammed with details and specifications on all our key product lines, as well as new features on Dream DSP and ICEpower’s class-D amplifier modules, both of which we feel will be of great interest to audio designers. A PDF of the catalogue can be viewed and/or downloaded here. Physical copies of the latest product short form are also available – if you are not on our mailing list and would like to request one, please please contact us. 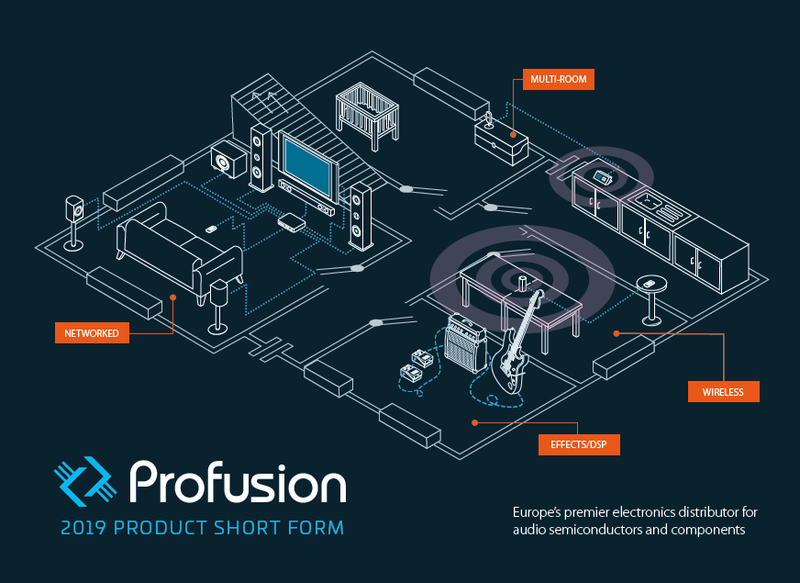 For over 25 years, Profusion has been the design engineer’s distributor of choice for ICs and specialty devices used in pro audio, MI audio and consumer audio products. Copyright © 2006-2016 Profusion plc. All rights reserved.